See what Curium has been up to! Our first workshop with Bay Area composers Emma Logan and Julie Barwick of Helia Music Collective at Davies Hall. Another wonderful experience at Old First Concerts! Great private concert for Four Seasons Arts. 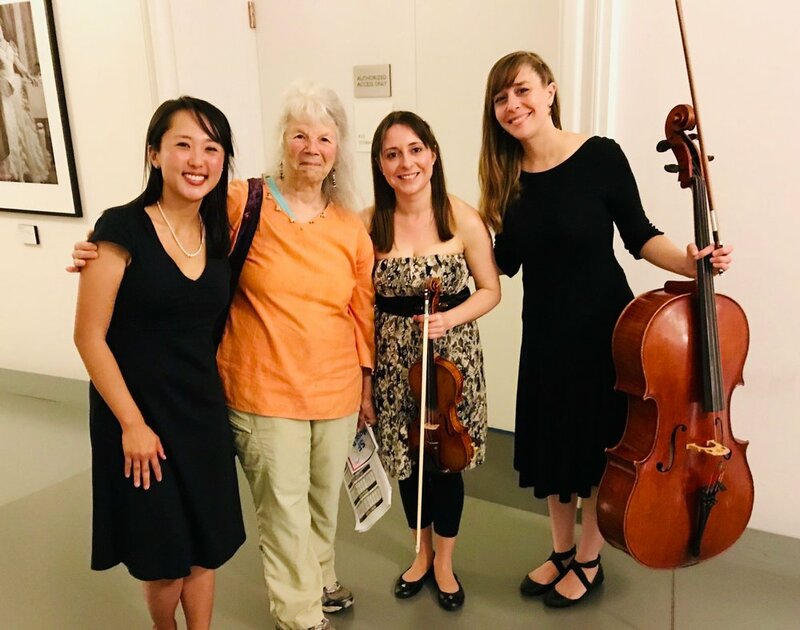 After a lovely noon concert at Throckmorton Theatre with our new cellist, Carlyn Kessler! 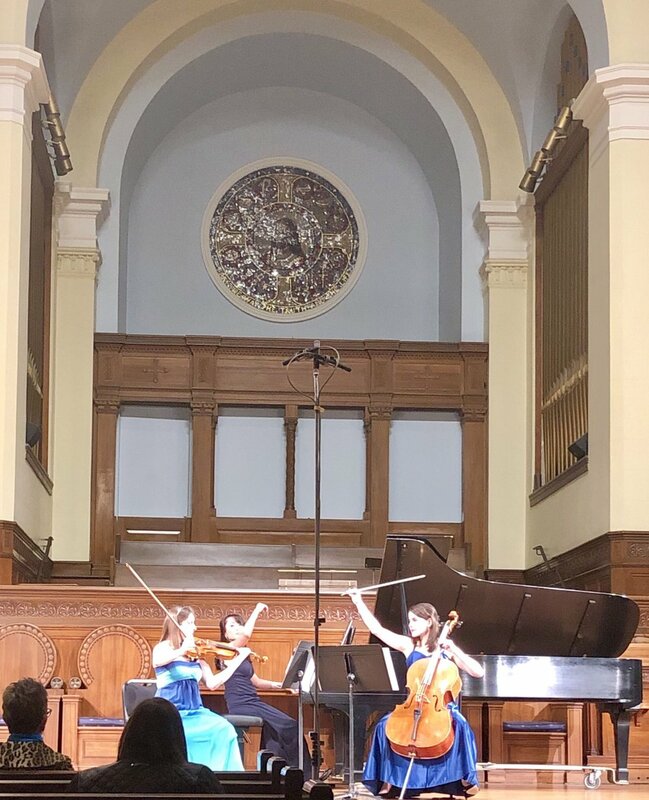 Thank you Trinity Concerts in Berkeley for hosting us! What amazing acoustics in the hall! 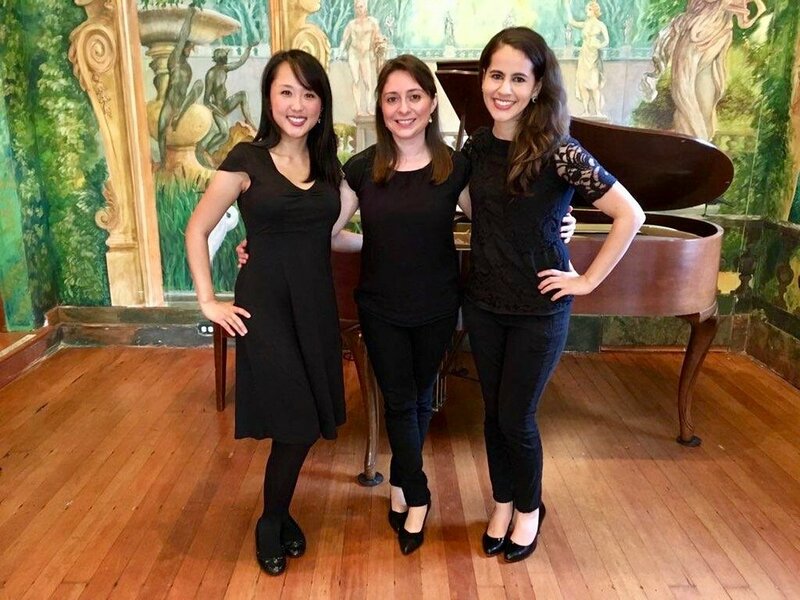 Posing after our Clara Schumann performance with one of our sponsors for SF Music Day 2018, cultural anthropologist Dr. Carol Mukhopadhyay. After exciting concert at Bing Concert Hall! Dress rehearsal for our first official concert as Curium!